OUR TEAM HAS WORKED WITH HUNDREDS OF KIDS OF ALL AGES AND ABILITIES - HELPING KEEP OUR FUTURE FIT BY SHOWING THEM HOW MUCH FUN IT CAN BE! We take pride in helping shape future generations by showing them that exercise doesn’t have to be a chore. We want them to look forward to going to the gym & staying healthy. Raincity Athletics as well as the Raincity Fit Club & Skills 2 Play offer a variety of programs for school groups, small groups or teams, as well as special needs. We make for an awesome (and affordable) class field trip with prices ranging from $10-$25 / participant! Coming to Raincity is the best way to take advantage of our program, and public transit brings you right to our door - check it out! The best times are one hour blocks between 10:00 AM to 2:00 PM Tuesdays & Thursdays, but contact us for all availability. Whether your school doesn’t have the budget or the time to bring the group to come play with our toys - we can bring some of them to you. Let us know what kind of space and kids you have to work with and we’ll let you know what we can do! SPECIAL NEEDS GROUPS can UTILIZE any of the Raincity FIT CLUB Kids programs but with specially trained coaches as well as Skills 2 Play Lead Behaviour Support Coordinator. note: photo is blurred by request of some of the kids parents. We will always respect your privacy requests for your kids. IF YOUR CHILD HAS SPECIFIC NEEDS or goals, we can work hand in hand with your child’s SPORTS COACH, physio, occupational therapist, OR OUR OWN IN-HOUSE BEHAVIOR SPECIALIST. Semi private or private training is great for kids who may have more specific needs. Raincity Athletics as well as Raincity Fit Club coaches are all trained and experienced coaches when it comes to working with kids of all ages and abilities. 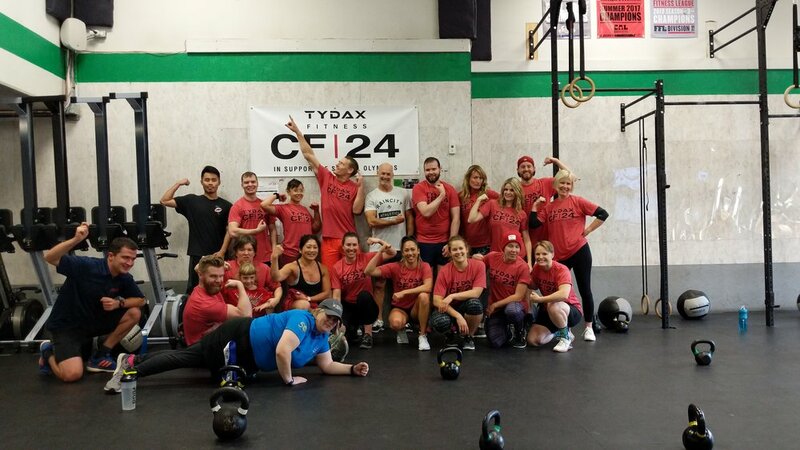 I’ve been bringing my classes for field trips to ‘Coach Thor’ at Raincity Athletics for years! It’s probably one of their favorite field trips every year - and I love that they have so much fun exercising! We want the next generation to grow up strong physically and mentally, and to appreciate the beauty in that strength. Our goal for kids is the same goal for our clients at Raincity Athletics. We want to provide a fun, safe, inclusive environment where humans (both big and small) can find what ‘fit’ means to them. On top of that, Raincity Athletics works with multiple youth groups & special needs organizations through fundraisers, donations, as well as working hands on with the kids.